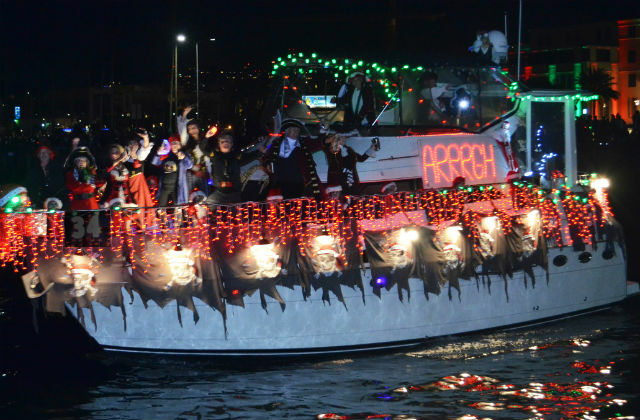 Seaduction, winner of the International Award in the 46th annual San Diego Bay Parade of Lights. The dates for this year’s parade are Dec. 9 and 16, with more than 100,000 residents and visitors expected to watch the two-hour-long processions of 80 lavishly decorated boats. 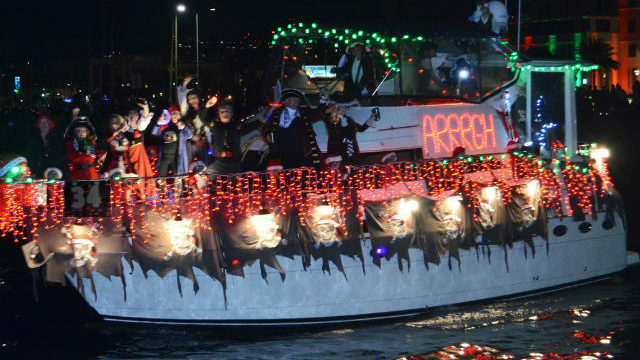 Presented by the Port of San Diego, the parade is one of the region’s most iconic holiday events. The parade route begins at Shelter Island and travels east past Harbor Island, then south along the Embarcadero, Seaport Village and Cesar Chavez Park before turning parallel with the Coronado Bridge to the west side of the bay. The parade then proceeds past Peohe’s to the finish line after passing the Ferry Landing. A seminar for interested boaters is scheduled for 5:30 p.m. to 7 p.m. on Nov. 15 at West Marine, 1250 Rosecrans Street in Pt. Loma.